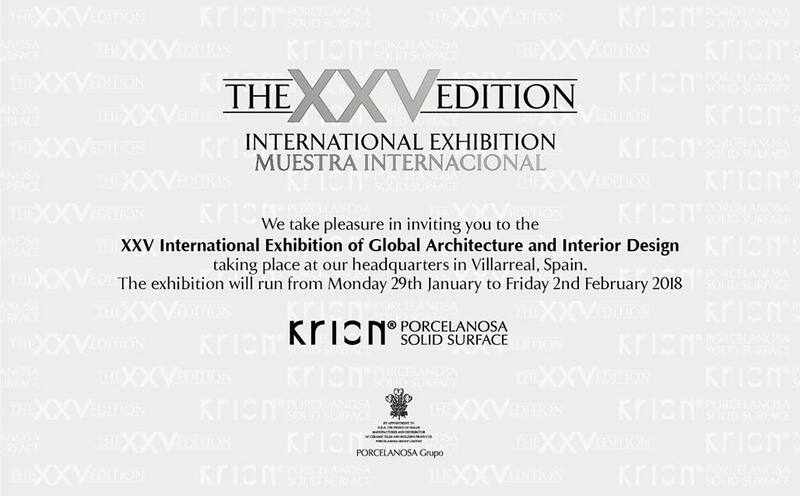 The PORCELANOSA Grupo is preparing itself for one of the most important events of the year. On January 29, 2018, the International Global Architecture & Interior Design Exhibition will get underway. An event which brings together all the previous months of work which has been developed over the last few months by the eight firms that make up the Group. In addition, Noken Porcelanosa Bathrooms will showcase its latest bathroom collections and Premium designs. Systempool, meanwhile, will present the main features and functions of one of the most revolutionary materials of the moment: Krion® K-Life; this has the multiple possibilities and decorative advantages which are provided by the Krion® Solid Surfacecompact mineral. Nature and design are the central axes of the new L’Antic Colonial’s showroom. Designs for mosaics, laminate flooring and Linkfloor where, the main attractions are natural stone and wood. Gamadecor will showcase its latest kitchen models and Butech will present its cutting-edge facade systems, technology that adapts to all the Group’s materials and formats.